DONOVAN adds to its winning ways with a 2012 Platinum Award from the Summit International Awards for their 'Answer the Call' Firefighter Recruitment campaign, launched on behalf of the Alberta Fire Chiefs Association (AFCA). "Firefighting in Alberta has seen diminishing numbers as volunteers become older and more people leave small towns for larger centers," says Michael Donovan, President and Chief Creative Officer of DONOVAN. "We built an integrated provincial recruitment campaign to combat this attrition and add to the numbers of new recruits. 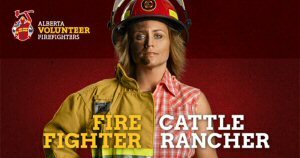 The 'Answer the Call' campaign conveys the idea that almost anyone can become a volunteer firefighter, that you can make firefighting part of your life, and that becoming a firefighter not only adds to your quality of life but it also adds to the quality of life of the community in which you live and work. The campaign is educational, but it is also meant to change perceptions and behavior. We're becoming more aggressive in recruiting new members, and we're extremely pleased that the Summit judging committee saw the value in what we're doing to raise the profile of volunteer firefighting in Alberta." "DONOVAN was great," said Peter Krich, Fire Chief and member of the AFCA. "AFCA's high recruitment and retention rate are a direct result of the various promotional items produced by DONOVAN. Many volunteer Fire Departments are using the materials that will help bring on fire fighters." Volunteer firefighters make up the majority of the 4,000 firefighters in 400 communities across Alberta. 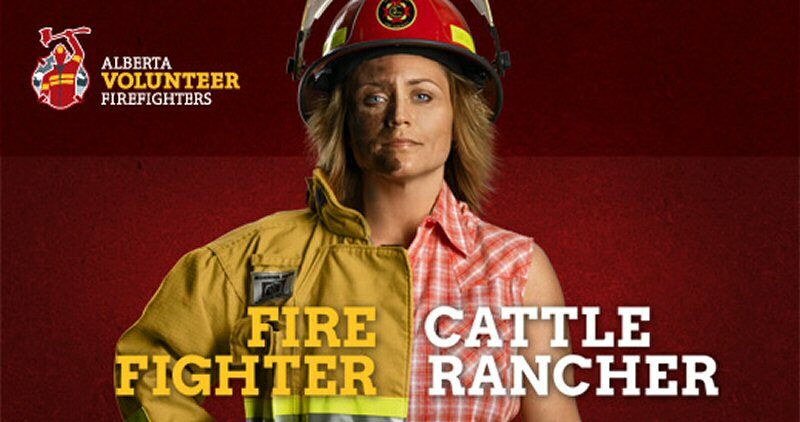 DONOVAN's campaign uses recruitment kits, display ads, OOH, interactive and video assets to tell the story of the range of people who can make volunteer firefighting part of their lives.